Out of hundreds of Las Vegas wedding venues, which are the best place to get married? 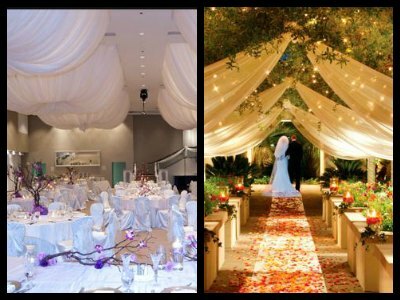 There are so many unique ways to get married in Vegas - chapels located inside hotels and casinos, full-service freestanding chapels, outdoor and destination weddings, helicopter and gazebo, and so many others. 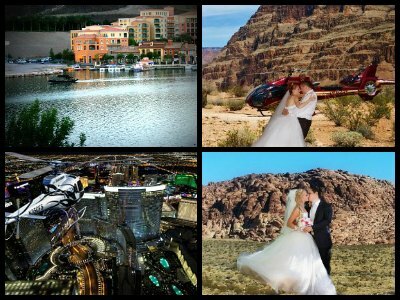 Here is a list of the most popular places to get married in Las Vegas. Las Vegas is home to dozens of free standing chapels in casinos and major hotels. 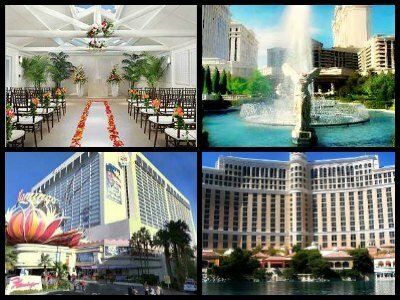 Whether you are looking for a grand, elegant chapel or something a little more fun, you'll find Las Vegas wedding venues to accommodate any desire. For glamorous and fun weddings, head to Viva Las Vegas. 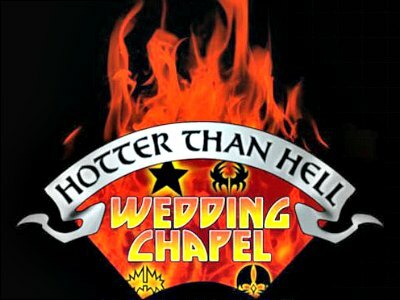 This chapel is among most fun places to get married in Las Vegas with amazing themes like Elvis, Red Rock Canyon, Gothic and Helicopter weddings. For a Vegas style drive-thru wedding, head to A Special Memory chapel. Graceland or Storybook offers very romantic, fairytale style weddings in a peaceful atmosphere. 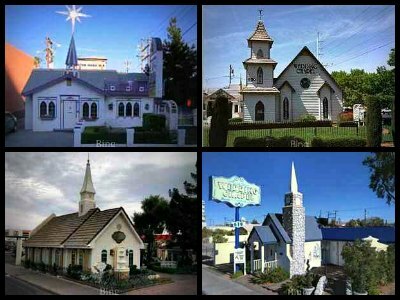 Most freestanding chapels in Las Vegas offer several different packages to choose from and will accommodate a wide range of guests. Las Vegas is known for its ultra-luxurious and indulgent hotels and most of these hotels are home to chapels and wedding venues where couples can tie the knot. From luxurious to intimate, fun themed to classic, you'll have plenty of great options to choose from as Las Vegas hotel chapels. The Caesars Palace, for example, has 5 different Las Vegas wedding venues to choose from. For something stylish and chic, head to the Mandalay Bay. The chapel at Mandalay Bay is one of the best in the city. Some of the other hotels that offer beautiful wedding chapels are the Bellagio, Tropicana, Paris, Excalibur and Flamingo. Couples planning to get married will find plenty of Las Vegas wedding venues not just in the city but around the city too. There are several great places to get married in Las Vegas that are very popular for outdoor weddings. From intimate garden weddings, beach weddings or majestic natural settings, you'll be spoilt for choice! The Valley of Fire is perhaps the most popular wedding destination because of the majestic red rocks. Another great option is the Red Rock Canyon with its beautiful desert landscape. A unique option for couples is the helicopter wedding where they can tie the knot high up in the air above Las Vegas. Couples interested in a very unique and unusual places to get married in Las Vegas will find a great option at the Mandalay Bay. 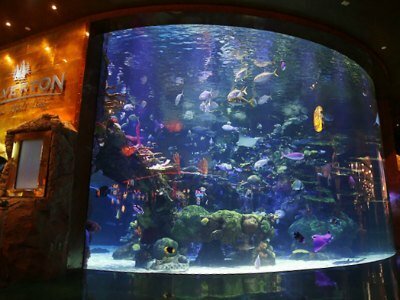 The Shark Reef at the Mandalay Bay is one of the most unique Las Vegas wedding venues that allows you to tie the knot in an underwater setting. 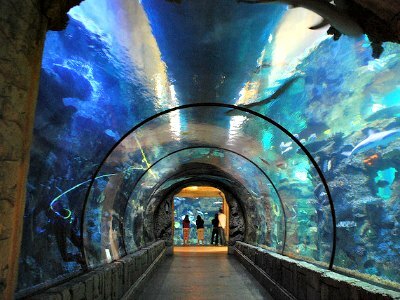 The tunnel like wedding venue is surrounded by a glass enclosure that holds 1.3 million gallons of water. Swimming around you will be 15 different types of sharks. Couples with a love of the sea and its most majestic creatures will definitely find the Shark Reef an exciting destination for their wedding. This wedding venue is not just a fun location for a wedding but also a great location for photographs. The Monster Mini Golf is an exciting Las Vegas wedding venue that offers the perfect setting for couples who love rock and roll. Their KISS themed wedding is reminiscent of authentic rock and roll concerts. From wedding invitations and the large stage to fog machines and special effects, this wedding venue takes care of every little detail. The setting itself is inspired from KISS' "Love Gun" cover with concert quality sound and lights as well as fog machines. Couples can have up to 35 guests and there is a live web cast option available for other family members and friends to enjoy from home. The eKiss Minigolf is quite unique and unforgettable place to get married in Las Vegas! 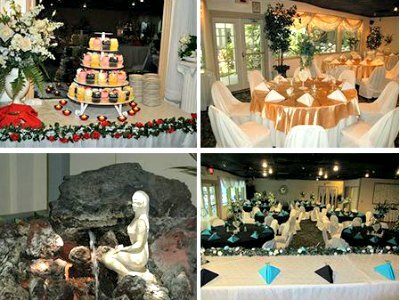 The Wedding Rooms is one of the most affordable Las Vegas wedding venues. The venue can accommodate over 100 guests at once and offers a huge range of choices when it comes to menus and buffets. Several bar packages are also available for couples to choose according to their budget. Couples can also bring their own place settings and food. The Wedding Room offers all-inclusive reception packages along with the services of an event coordinator and good services. The venue itself can be decorated to suit the style and preferences of couples and the venue is available throughout the week. Emerald at Queensridge is one of the most exclusive and premier Las Vegas wedding venues. 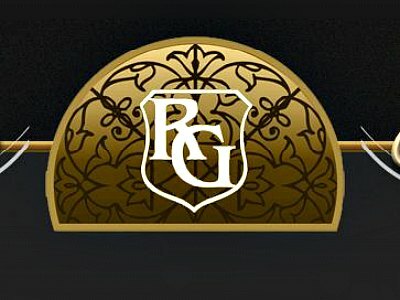 This is a single event venue that has a reputation for offering luxurious, elegant setting for receptions and weddings. The ceremony can be held in the beautiful courtyard with the Red Rock Canyon in the background. The venue also offers event coordinators and planners so couples can have a relaxed, enjoyable wedding experience. Receptions are held at the luxurious Grand Ballroom. The reception venue has a grand staircase, a beautiful dance floor and bar, high vaulted ceilings and more. The Groom's and Bridal suites are equally impressive with vanity stations, plasma TV and several amenities to keep couples relaxed and entertained. 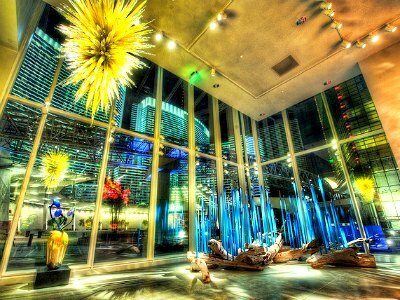 The Chihuly Gallery in CityCenter is an exhibition space that showcases the artwork of artist Dale Chihuly. Featuring visually striking glass installations, prints, drawings and sculptures, this gallery one of very chic and sophisticated places to get married in Las Vegas. This exclusive Las Vegas wedding venue is very private and can accommodate up to 50 guests. A pianist and wedding consultants are provided to help the bride and groom plan the wedding. Couples can say their vows amidst iconic art pieces such as the Silvered Venetian, a dramatic icicle tower and many other colorful pieces that prove to be great for wedding photography. The Silverton Aquarium offers a very unique alternative to traditional Vegas weddings. Couples can dive into a massive aquarium and celebrate an underwater wedding. The aquarium contains 117,000 gallons of water and is home to tropical fish, stingrays and sharks. Couples wear scuba gear along with their tuxedo and bridal gown and exchange their vows underwater. The bridesmaids, courtesy of the Silverton, are mermaids! The wedding can also be streamed live to friends and family through a webcam. While this is a very unusual ceremony, this Las Vegas wedding venue a great option for couples that love the water and enjoy diving. If you have no fear of heights and want to celebrate your wedding while enjoying spectacular views of the Sin City, High Roller is one of the best places to get married in Las Vegas. 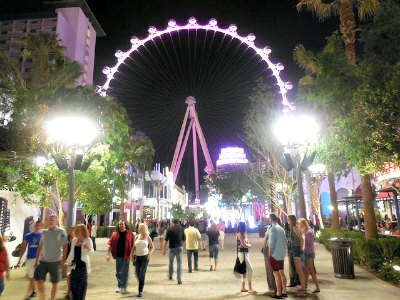 The High Stakes package will provide you VIP entry and a private cabin on the High Roller, the world's largest observation wheel. With photography and music included, you can't go wrong with this package! Couples can choose from a number of different packages for the High Roller, based on what they want included in the package. Some of the options available at this new Las Vegas wedding venue are Wed in the Sky, Circle of Love and To the Top packages. 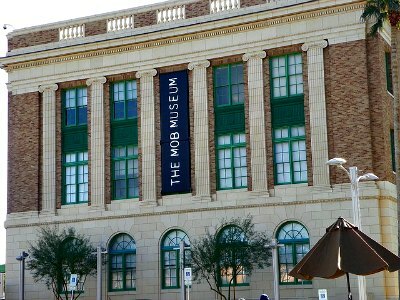 Located in downtown, The Mob Museum is a one of a kind venue that is a very unique Las Vegas wedding venue. The museum is located in a historic building that was once a federal courthouse. The building is grand and has impressive neo-classical architecture. Couples can now opt to get married at this historic and unusual location with the services they need such as production, entertainment and catering to make their wedding memorable. The wedding venue is meticulously restored, grand and reminiscent of the time when Las Vegas was ruled by the mob. It is not only a beautiful Las Vegas wedding venue, but one that is truly historic. 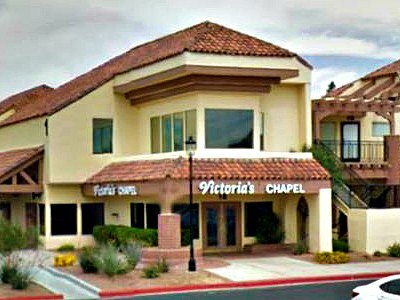 Victoria's Family is a family-owned business that offers couples premier Las Vegas wedding venues and excellent services. The all-inclusive wedding packages include limousines, photography, flowers, wedding cakes and more. Couples can choose from 6 different wedding venues. The wedding chapel is a traditional venue with Roman décor, marble walkway and a mural sky. For a luxurious, elegant wedding, The Embassy Terrace is a great choice with its cathedral ceilings, grand staircase and bridal quarters. Victoria's Family also has a cocktail room for intimate receptions, The Embassy Pavilion and The Courtyard for outdoor weddings. There are several different wedding and reception packages to choose from. The Rainbow Gardens is an elegant and beautiful Las Vegas wedding venue known for its exquisite ambiance and its high quality services. The Garden Room is a great location for couples who want to get married amidst romantic ambiance and lush greenery. It is the city's only climate controlled garden with palm trees, tropical plants and birds so couples can enjoy beautiful weather throughout the year. The Formal Room at the Rainbow Gardens offers intimate setting with draped ceilings, elegant Roman columns and luxurious chandeliers. With beautiful views of the courtyard, waterfall and gorgeous lighting, it is a very romantic venue for receptions. MEET Las Vegas is a premium venue for weddings, ceremonies and receptions. The ground floor venue can accommodate up to 300 guests. It is an open air pavilion that allows couples to tie the knot under the blue sky or twinkling stars. The venue can also accommodate live music. 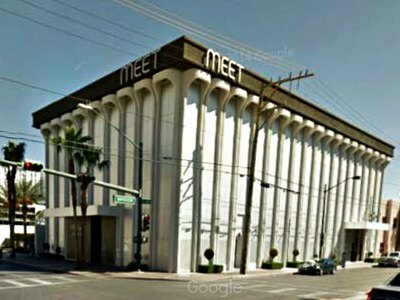 The second floor of MEET Las Vegas offers an intimate setting for receptions and wedding ceremonies. Couples get private quarters to get dressed before the ceremony. This is a very chic venue that allows couples to customize their wedding according to their own taste. From menu and custom furniture to specialized lighting and décor, couples can choose the tone and style for the event at this beautiful Las Vegas wedding venue.